Hallstatt is a small and picturesque town located 2.5 hours from Salzburg. It is accessible both by bus and train. The bus route is a bit longer and might be uncomfortable as I have seen people standing all the way from the start to end. The Postbus 150 is available from the bus stop at Salzurg HBF and it goes upto Bad Ischl. 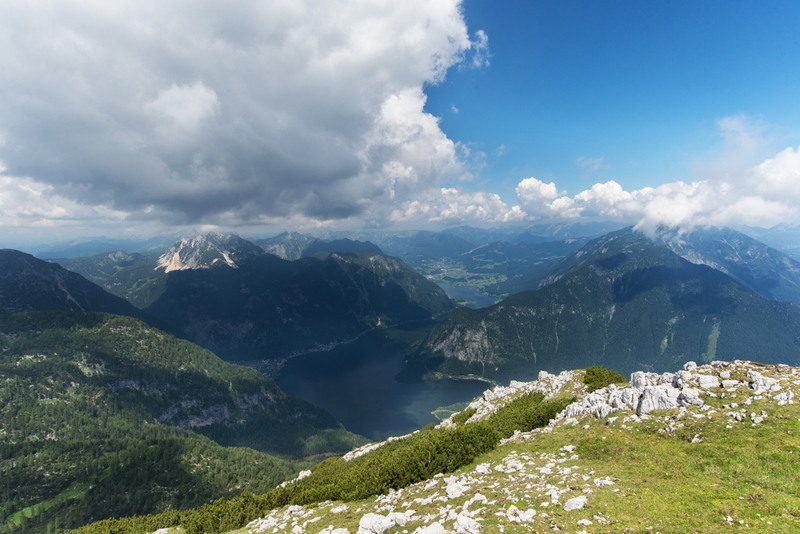 From there, Postbus 542 needs to be taken to reach Hallstatt. I took the train IC 543 from Salzburg at 06:15 hrs which reached Attnang-Pucheim at 07:00 hrs. From there another change via train RE 3406 bought me to Hallstatt station. The station is a very small one with no luggage storage facilities or even a toilet. From the station, a boat takes you to the other side where the town is actually located. I didn’t alight at Hallstatt, rather I continued for 2 more stops to Dachstein from where I took Postbus 543 to the Dachstein tourist info center for my tour of the Ice caves and the famous viewing platform called Obertraun 5 fingers. The time I reached (around 09:00) was perfect because the office opens at 8:30 a.m. So before the tourist influx, I managed to get my tickets and advance towards the tour of the ice caves. A word of caution here: the hike up to the ice caves from the ground level is a pretty steep one and people with physical ailments related to knees should avoid it in my opinion. Also it’s advisable to carry a piece of warm clothing as its pretty cold inside the caves. I overestimated my masculinity by wearing just a cotton t-shirt and ended up with frozen fingers, water down my nose and red eyes by the time I came out at the exit, looking like a survivor who found his way down to civilization after days of wandering in the mountains. The ice caves are indeed a miracle to view and are open only during the summers. In winters it is closed off since the ice is allowed to form during that time. It’s a guided tour in English and German with a group size of approximately 30 people. The view of the valley on exiting the ice caves is nothing short of spectacular. 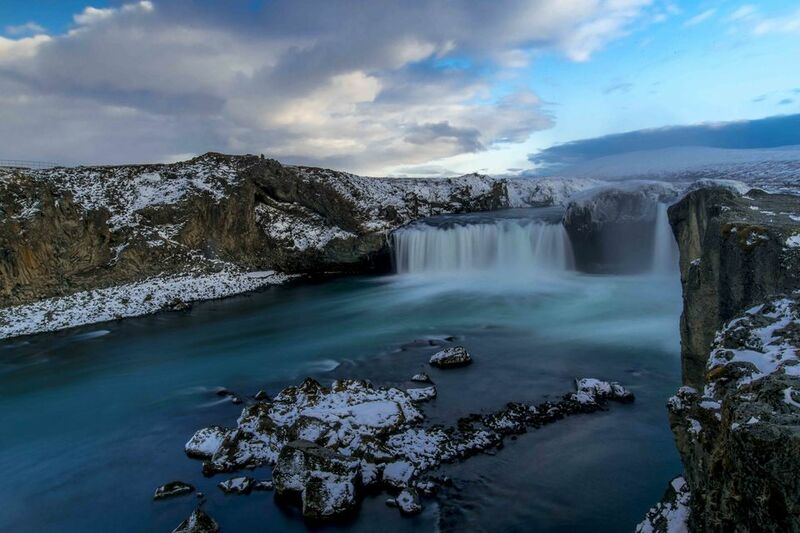 On a day with clear skies you will be rewarded with one of the most promising views! After the ice caves, I got the cable car for the ‘5 Fingers’. Again a considerable hiking was involved (approximately 30 mins) from the cable car stop to the 5 Fingers. Even on the hike, the views are scenic and refreshing. 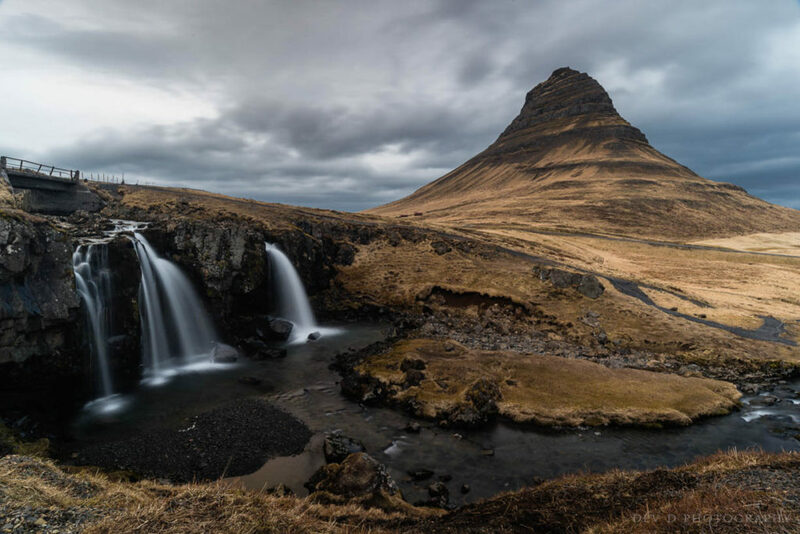 The river flowing down and the mountains form a backdrop which is best enjoyed while taking a break and sitting down on the grass with a beer in hand. I saw some paragliding enthusiasts who were having the time of their life. Needless to say, the 5 Fingers was completely packed by travellers by the time I reached. But luckily I was able to find some moments where my frame had only the landscapes in it. I made the most use of that time frame to capture some shots which made me feel like the best travel photographer who has ever graced the 5 Fingers. Although, it was a sunny day but there were a lot of clouds in the sky which were moving very fast. So sometimes, shadows from the clouds were there to provide some respite from the sun during the hike. 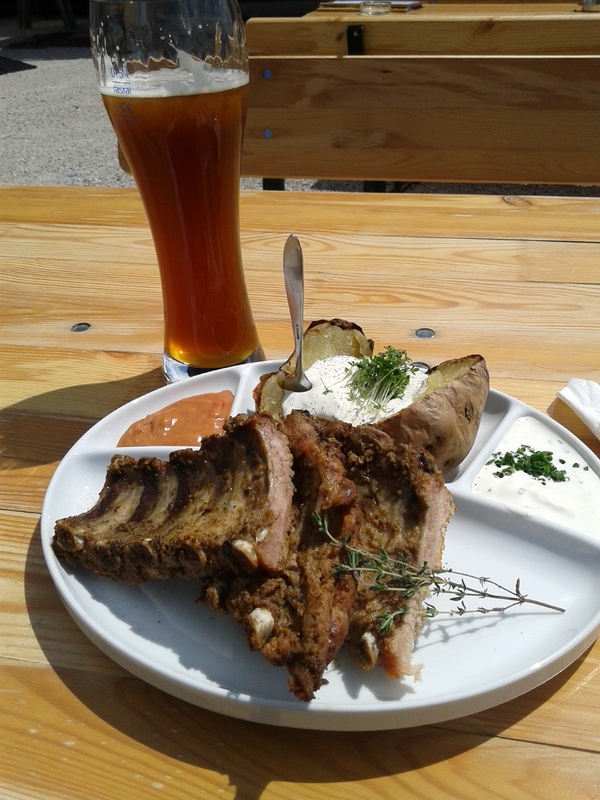 Post hiking, I had a hearty lunch of grilled pork ribs and blonde beer served by a very beautiful and jovial girl at the restaurant located there. She said the best part of her everyday was coming to work and enjoying the views from up there. I take her every word for it. The views while relishing food from that place lends another dimension to travelling! I came down to the town center and walked around the small yet picturesque place. Colorful buildings, numerous cafes and streets full of tourists made it look like any other tourist spot in the first place, but the vibe of the place was something unique to it. The streets were narrow, the air had the aroma of freshly made food and the weather was perfect for a leisurely stroll down the streets. For people who love to collect memorabilia, this place is a treasure trove with so many shops selling a variety of gift items. The handicrafts made of wood deserve a special mention. On return I took the train but this time from Hallstatt crossing the river on a ferry. I picked up my luggage at the hostel and headed to the station for my train to Oberndorf where I couch surfed for the next 3 days. The train to Oberndorf was a ‘Localbahn’ which departs from the underground platform at Salzburg Hbf. There is a train every 15 mins and tickets are bought on the train itself. 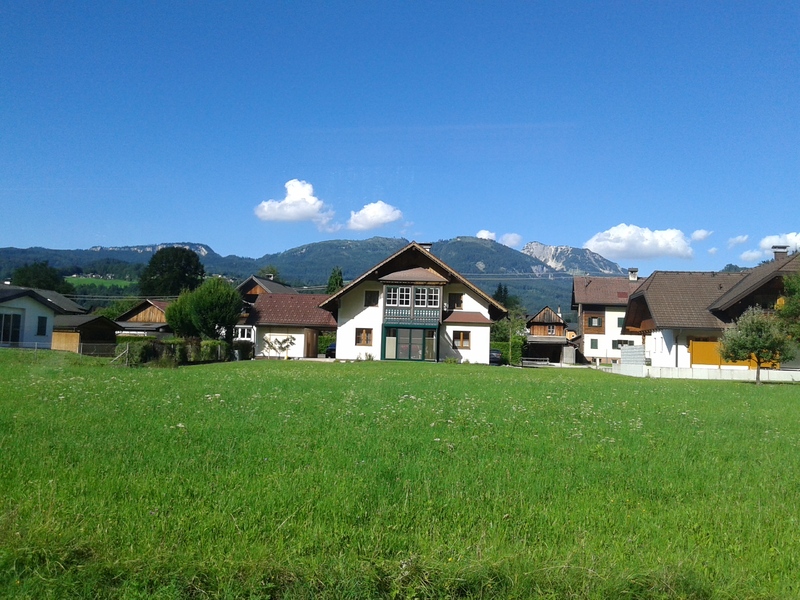 It’s a picturesque train ride through the un-spoilt rural beauty of the Austrian countryside. Breathtaking at times!